The story of Andrea Fanfani is that of a passion blossoming in an extraordinary setting. Being educated in Florence means, absorbing, each and every day, a taste for beauty that stays emblazoned on the mind for the rest of one's life. It was in Florence that our founder, Andrea Fanfani, learned sophisticated decoration techniques, such as carving and gold leaf, immersed in the vibrancy of the artisan workshops of Florence's San Frediano neighborhood. 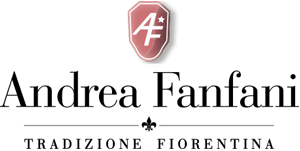 The history of the classic Italian furniture company Andrea Fanfani is about passion. In the extraordinary setting of the art of city of Florence, Andrea Fanfani learned the finest craft techniques of classic Italian furniture and was immersed every day in beauty that left a life-long mark on him. Craft expertise. The skilled decorations of the Florentine school turned classic furniture into unique works of art: through carving and gold leaf, classic Italian wood furniture gained a sophisticated soft touch imbued with the vibrancy of the artisan workshops of Florence's San Frediano neighborhood. Andrea Fanfani remains the creative and entrepreneurial engine of the company, but he has also involved his entire family to the full in his busy work, including his sons Marco and Roberto, not to mention all the employees who make up a big, united and collaborative family in the company. For over 40 years, the company has been researching, designing and producing furniture components in the purest florentine tradition. Centuries of knowledge, skills, techniques and secrets are still alive and conquer the world thanks to our simultaneously classic and innovative production. Skilled craftsmanship is the basis for the great Italian furniture tradition, in the footsteps of which Andrea Fanfani's work follows. Every piece of furniture is made and decorated by hand only, with the utmost care and attention according to the ancient culture of Florentine workshops set up to decorate and furnish the Renaissance palaces there, for which Florence remains famous throughout Europe. It is not only care and attention that bring prestige to an Andrea Fanfani piece. Only 23 ct gold leaf is used in the gilding technique, applied strictly by hand according to the Florentine “guazzo” (gouache gilt) technique, an ancient decorative art dating back to the 13th century. The end result ensures startling brilliance and durability over time.